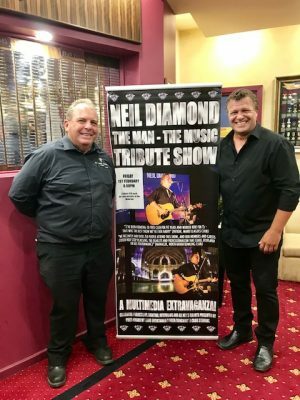 This turned out to be the case when Sarah Fulton, brand new promotions and marketing manager of the Gloucester Soldiers Club, booked the Neil Diamond: The Man, The Music show for one Hot February Night at the beginning of this year. 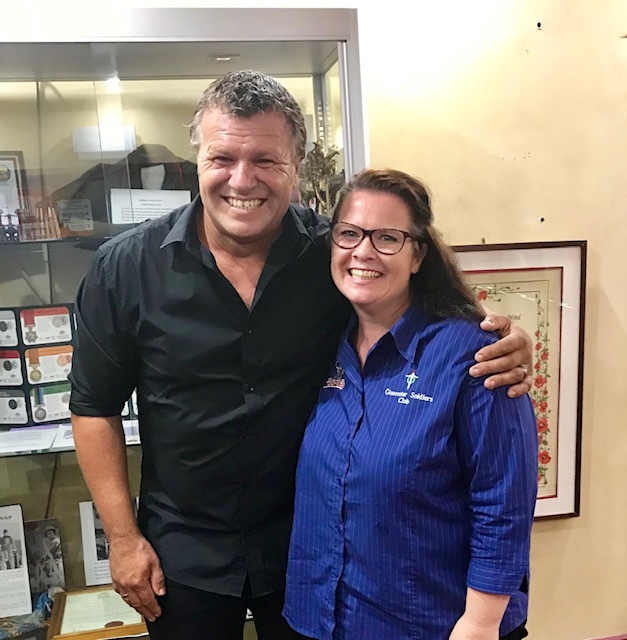 Even the most spectacular show needs promotional and marketing support to be successful, though, and this is where Gloucester Soldiers Club upped the ante. The venue put in a substantial amount of effort to advertise in and on the local newspaper and radio station. They made sure that all the local shops were supplied with posters and flyers promoting the show and did regular mail outs to their members. All Things Entertainment added the finishing touches by informing fans and making sure all the local media were offered interviews and ticket giveaways. In addition, the Gloucester area was blanketed with online advertising and announcements to make sure that nobody missed out on seeing this amazing show. We’ve asked Sarah to share some of her secrets when it comes to hosting a successful night of entertainment. How often does Gloucester Soldiers do ticketed shows and how do you decide what your community wants to see? Sarah: We started hosting ticketed shows in August last year for the first time in about a year. 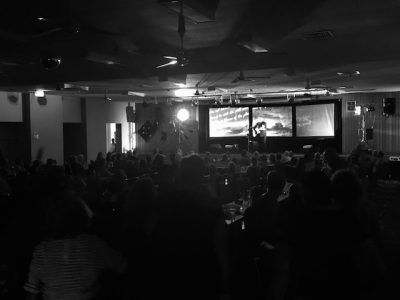 In 2019 we’ll be showcasing around six shows in our auditorium, as well as continuing our free monthly live entertainment in a smaller area of the club. We have to cater for a diverse range of demographics, so it’s a matter of taking the time to scout around to find the right acts that will suit these different groups and, most importantly, to ask the community what they would most enjoy. With only a limited budget for advertising, how did you make sure that the whole town was aware of the show? Sarah: We kept it simple but effective! Parts of the community still don’t access social media, so we need to maintain a regular print-advertising presence. We have a great working relationship with our local newspaper who are generous with editorial support to accompany our paid print ads and also allow us to tap into their own online platforms. Our Facebook page is growing and has become our most important advertising tool. Boosted posts for larger events are always effective in covering neighbouring areas. This year we’ll also be running online competitions with ticket giveaways to increase our reach. We also tap into the local area Facebook pages that feature any kind of community events and cross promote on them to reach audiences that might not follow our club’s Facebook page yet. Good old posters still work a treat! We do in-house design (unless promo material is provided). We display them in the club as well as around town in shop windows (we have some really proactive retailers in town who all support each other’s businesses), and we target hot spots during peak times. Gloucester is a popular tourist destination, so we capture visitors to the area through the Visitor Information Centre and local accommodation providers. The Club has an ongoing radio campaign with a regional FM radio station, and we provide a script change before each large event to run a mini on-air campaign. Were you happy with the service and support that you received from the agency (All Things Entertainment / ATE)? Sarah: Without a doubt! It was my first time dealing with ATE and I couldn’t be happier with the help, open communication and understanding that we are just a small fish in a small (beautiful) pond but with big plans for entertainment options in the town. It means a lot to us to not have someone trying to upsell a show beyond our reach, because they realise that we don’t have the budgets larger venues have. Sarah: Putting the community first, really listening to what they would like to see (and pay for) and making sure that there really is something for everyone. Considering what a lot of rural communities have been going through the last few years, it’s important to us to keep ticket prices realistic and affordable so people can still treat themselves to a night out where they really will get more than their money’s worth. We have to deliver quality entertainment, it’s the least we can do. I absolutely love what I do and there’s nothing better than seeing the effect music has on people. I love looking around the room and seeing people lost in a song they love, knowing it will be an event that will stay with them forever. Even on busy or stressful or just plain ordinary days there will always be music. I’m so excited about the direction the club is heading in to bring people together and introduce really fantastic live entertainment to the town. Copyright 2017-2019 © All Things Entertainment | All Rights Reserved.